My family's favorite time of year is Christmas! We always put the Christmas tree and decorations up right after Thanksgiving. It's a tradition. The first thing my husband, my kids, and I do is hang the stockings on the fireplace. My kids get so excited just putting their stockings up, knowing when they see them on Christmas day, they will be full of goodies. Then, we put Christmas trinkets of Christmas characters and Christmas stuffed animals on the fireplace with lights all around them. It is beautiful. 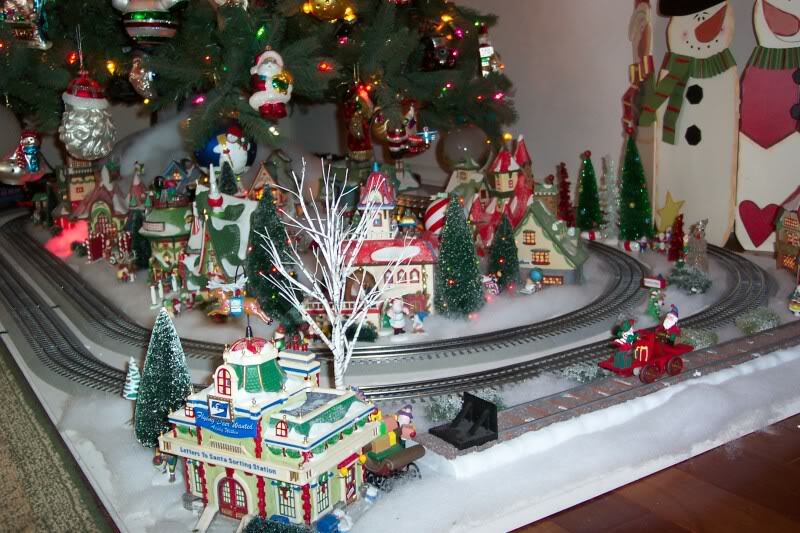 Under the Christmas tree, we put a train. It reminds me of when I was a kid. I love to just stand back and look at all the decorations. It puts me in the Christmas spirit! So, after we are all worn out from decorating, we watch Christmas shows on Satalite TV deals! Thanks for the post, Sydney. I never had a train under the tree. We would just usually have the presents, but it's cool that you have something as small as a train to bring you back to your days as a youth. Later!